Millsboro, Delaware (July 6, 2017) – Injuries were reported Wednesday morning in a two-vehicle crash that occurred Millsboro, Sussex County, officials said. 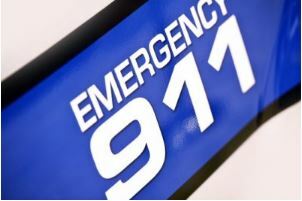 The incident took place at about 12:02 a.m. Wednesday, July 5, between a black Chevrolet Suburban and a black Infiniti SUV on John J. Williams Highway near Wawa. Reportedly, both vehicles were traveling on John J. Williams Highway when they collided near the intersection of Carillon Square and Shore Plaza Boulevard. Police officers, firefighters, and paramedics responded to the scene and helped to rescue and stabilize patient and to control traffic. The roadway was completely shut down as units in investigated the incident, recovered debris and fluid, and cleared the scene. All injured parties were transported to nearby hospitals for treatment. There was no word regarding the conditions of the injured parties.